Piik helps pharmaceutical companies make profitable decisions by recommending data-driven actions using AI and advanced analytics. 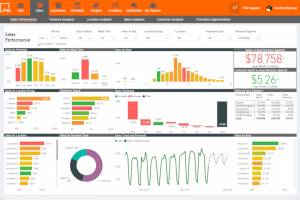 Piik aggregates data from internal and external sources to uncover patterns and provide interactive analyses and trends, reliably predict sales, and recommend specific actions to grow sales and optimize costs. 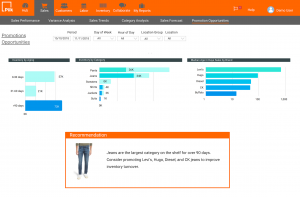 Analyze sales, market share, inventory, and other business data in one place to quickly understand underlying reasons for performance. Automate aggregation of data from multiple systems and reduce reporting process costs and enable quicker, and smarter, decisions. 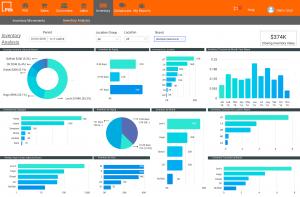 Interactive dashboards available anytime, anywhere, on any device (desktop, mobile) to see trends, performance outliers, and drill-downs to quickly answer business questions. Reliably predict demand and outcomes based on underlying data patterns and disease trends. Sales forecasts with over 90% accuracy. Price elasticity analysis (coming soon). Which product combinations work better than others. Which items to promote, when, and for which channels and customers. Efficiently manage and optimize your inventory. Analyze historical inventory and ordering patterns to avoid stock-outs and lost sales. Reduce cost of wastage and obsolescence.